Mamelodi Sundowns striker Abdul Fiston Razak could join Platinum Stars before the end of the transfer period. 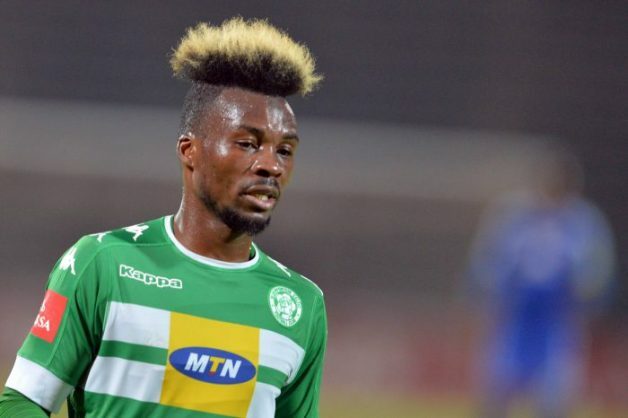 Razak was with Bloemfontein Celtic for two seasons on loan from Sundowns. The Burundian return to Sundowns as he still has a contract with the club, however, he is expected to leave the club again before the end of August. “Platinum Stars are interested in Razak. The only problem now is the player’s terms. They want to sign him because they lost Ndumiso Mabena, and it is not clear whether they will retain Bongi Ntuli (who is also owned by Sundowns) or not,” the source told IOL. Razak’s manager Lwazi Mazibuko confirmed to IOL that there is interest in the player from PSL clubs.